With Immortal Light, Curran has successfully tapped into that natural beauty and created a slice of alt-folk that is as engrossing as anything you’re likely to hear. I’ve known Buck personally for some years now, and we managed to catch-up in the middle of him touring his album. 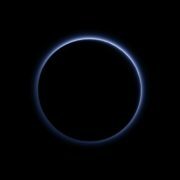 I kick things off by mentioning that Immortal Light appears to be a critical landmark in the development of his music and that the album cover, showing Pluto, although a small planet, represents change, transformation, and regeneration. I mention how strong a metaphor it is which leads me straight into asking a rather deep opening question – whether it was a transformational album for him personally? “It has been a very intense personal transformation which began in the Spring of 2014 when Arborea took some much-needed downtime from touring. During that period Shanti began pursuing a new creative path through a meditation-based project with a friend. For her, that project was a much deserved and necessary break from the relentless touring entity that Arborea had become. “Change for myself, however, both personally and musically, had been slow and continuously evolving since Arborea started. Personal change and growth being something all of us obviously go through, but each of us perceive and respond to it in different ways. In retrospect, I was slow to recognize certain things were changing as I was completely focused on that collaborative project and also raising our two children (which we did for many years on the road). And I’ve always been writing and performing my own music, for decades now (I was especially active with a solo project in the 90’s). I recorded a lot of demos during the years prior to Arborea, but was never satisfied with anything I’d written or recorded….definitely not enough to stand behind any of that earlier work for official release. When we recorded and released ‘Wayfaring Summer‘ in 2006 I just knew things had become perfectly aligned and the wait was over. Yet all the experience from those previous years certainly gave me the knowledge I needed for producing and recording Arborea’s music and where I find myself now musically. At the back of mind, I’m stuck on ‘transformation and change’ and ask how this work is so different to what he has done in the past. 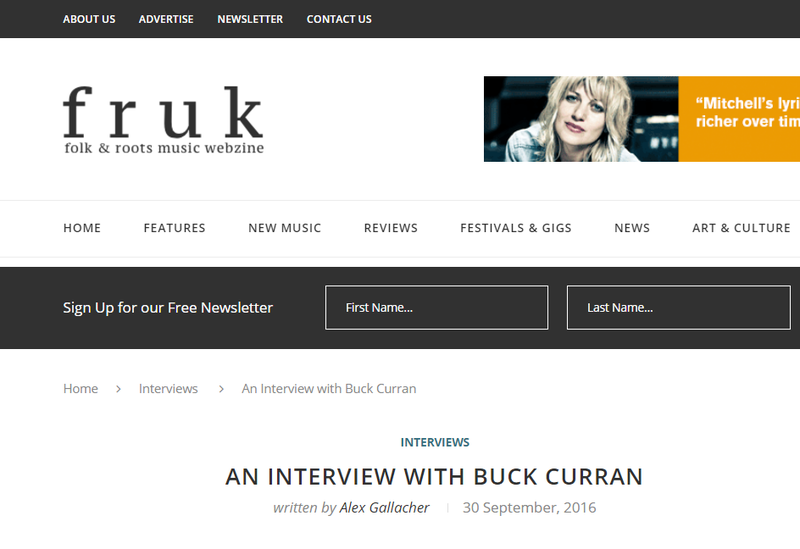 Buck is, as ever, very revealing in his answers requiring little probing to open up and leads our conversation into influences, some of which may surprise some of you. “Well as I mentioned, it started during some downtime Arborea had that year. During that time, honestly, I just started focusing on myself and my own creativity. That year I wrote and recorded New Moontide and arranged and recorded the cover of Bad Moon Rising. Sea of Polaris was also written and recorded that year and came from experiencing the death of someone very dear to me, which had a deeply profound effect on many things in my life. I recorded Wayfaring Summer (Reprise) last Summer thinking it would be perfect to honor the coming ten year anniversary of Arborea’s first album ‘Wayfaring Summer’ (2006). With the original recording of Wayfaring Summer I had quickly composed it as an intro for the Arborea song River and Rapids…but I’ve never felt completely satisfied with that original recording and have always thought of that piece as something a little more expansive. Over the years, we got used to playing it live closer to where I wanted it to be, so I wanted to represent it that way and it felt like the perfect way to lead off ‘Immortal Light‘. “For those long sustained notes in the intro of Wayfaring Summer I originally drew inspiration from Martin Simpson‘s album ‘When I Was On Horseback‘, his intro to Pretty Saro/Long Steel Rail….that combined with my early influences of BB King and Cream-era Clapton, Martin inspired me to develop my guitar playing in a subtle, vocal way…a style of playing that’s always made more sense to me anyway….as opposed to the concept of say running scales and shredding (a way of playing guitar which has always sounded funny to my ears, like someone conversing at hyper speed…not something I’ve found very attractive or beautiful). Amongst his many influences, Buck also lists the likes of Davy Graham, Robbie Basho, and Sitarist Pandit Nikhil Banerjee. There are more that I recall from a late night chat we had a few years back when Arborea stayed with us whilst on tour. Back then he recalled albums and tracks like he’d just listened to them, a knack he proves to still possess. I mention that they all seem to have an eastern influence except Martin Simpon’s work which seems to reflect this less so. I then recall a mix he did for Folk Radio UK and that he’d chosen to include a track by Martin and Jessica Simpson…he’s immediately transported back in his mind to Norfolk, Virginia in the 90’s. I know that nature has always been a strong influence in the music of Arborea. I mention that the Androscoggin River appears to have been something of a conduit for his thoughts and transforming those into music on this album. He reveals that water itself is a huge source of inspiration. 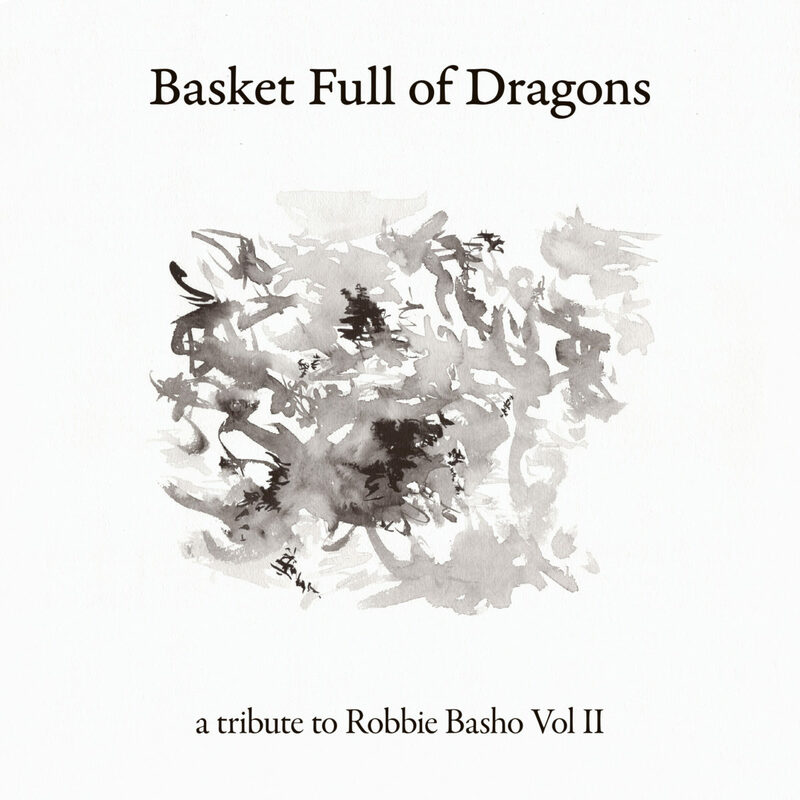 I move onto Robbie Basho, an influence that deserves personal attention as Buck has released two tribute compilations (Vol.I We Are All One, in the Sun: A Tribute to Robbie Basho | Basket Full of Dragons: A Tribute to Robbie Basho Vol. II) and organised a tribute concert to help raise funds for the making of the film Voice of the Eagle: The Enigma of Robbie Basho. I’m pretty certain that Buck has played a part in the rise of the late Basho’s influence on a number of musicians. I start with a question which in hindsight is not an easy one – “What is it about Basho that draws you personally and how would you describe that draw to someone unfamiliar with his music.” He doesn’t shy away…he not only answers it (despite initial reservations) but touches on a side of is music that surprises me still further…his singing. “Not sure I am capable of answering this question directly. But hopefully, this gives some insight. I feel Robbie Basho is one of the most vital pioneering artists in the history of American steel-string acoustic guitar and folk song. Basho worked very hard during his life (composing, recording, and touring), and I feel his music is just as important as the work of his direct contemporary John Fahey. Historically speaking he was right there alongside Fahey, UK guitarist Davey Graham, Sandy Bull, Joni Mitchell, etc, and during those years he was really pushing the musical envelope and heavily expanded the vocabulary of what was then known possible with the acoustic steel-string guitar. He explored musical colours and moods present in the classical music of Northern Indian, Japanese and Persian music, and Native American cultures (and to a far greater degree than any of his contemporaries). 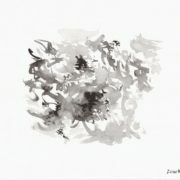 Struck by his thoughts on Basho’s singing this naturally gravitates towards his singing on this album, one that has a deep focus on prose poetry and songwriting. I ask what pulled him into this new territory but he reveals that this influence has always been there. “As with drawing and painting, writing poetry has been something I’ve been doing since I was a child. My early influences were Dylan Thomas and John Keats. In my twenties, I became exposed to the poetry of Rimbaud and Jack Kerouac and Japanese poets like Ikkyu and Basho. There has never been a separation between my poetry and music…it goes hand in hand. A reason I’ve also deeply appreciated the artistry of Jimi Hendrix. Combining these elements provides music with a much greater emotive experience. A lot of lyrics that I’ve written for Arborea….which became songs like Red Bird, Dance Sing Fight, A little Time, After the Flood Only Love Remains, Dark Horse, etc. developed directly from my Poetry. I also notice that Basket Full of Dragons is released on Obsolete Records, a label that’s new to me. I’m hoping that he’s going to reveal it’s his own label. He has a keen ear for new music and the compilations he’s been involved in have always been outstanding. His answer did not disappoint. He can tell I’m excited by the prospect and almost answers my next question before it rolls off my tongue when I ask whether there are new artists in the pipeline for the label. I wasn’t prepared for the number of artists he reeled off. “Absolutely! I am fortunate to be working with some amazing musicians like the brilliant experimental singer Adele H from Italy who’s songs are based entirely around her voice. Adele accompanies herself with underlying landscapes of harmonized vocals and percussion that she creates using a loop station. Her music has a very primordial feel that is especially powerful and beautiful to listen to during her intuitive live performances. “Adaya is a brilliant songwriter-musician from Switzerland who I first met on tour with Arborea in Ireland at the end of 2014. During that tour, we met her by chance during a storytelling festival and she ended up traveling with us to the mountains where we stayed with some very close friends of mine. During those days Adaya and I did a lot of improvising together with acoustic guitars and I immediately realized then that I’d found another musical partner for life. After leaving Ireland, I stayed in touch with Adaya and we ended up having her support Arborea’s shows in Switzerland during our European tour during the Spring of 2015. I also lived for a time in Switzerland later that Summer and Autumn and I began playing electric guitar in her band. During this past Winter, I was fortunate to have had the time to record textural electric guitar tracks for most of the songs for her forthcoming album which we hope to release through Obsolete Recordings next year. “Adaya very much reminds me of a young Sandy Denny…she has that kind of natural talent…a great voice, she writes beautiful original songs, arranges traditional Irish songs in a unique way, and prodigiously plays the guitar, banjo, mandolin, harp, flute, medieval bagpipe. My honest response to this revelation? Watch this label! Every time I talk to Buck there’s a feeling of regret when it’s come to an end. He’s a fascinating individual that I have a lot of time for and there’s always more I’d like to talk about. At least I have even more to look forward to…I thank him for his time…it’s always a pleasure. We’ll be bringing you more soon on Buck and his new label. 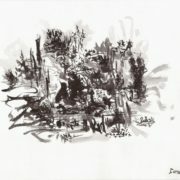 Basket Full of Dragons: A Tribute to Robbie Basho Vol II was released on Obsolete Recordings, it features the likes of Chuck Johnson, Twelve Hides, Glenn Jones and Matthew Azevedo and more. Available via Bandcamp and Obsolete Recordings.